There are fruits hanging on every branch covered with white snow. Fully ripened persimmons became food for birds that go through cold winter. 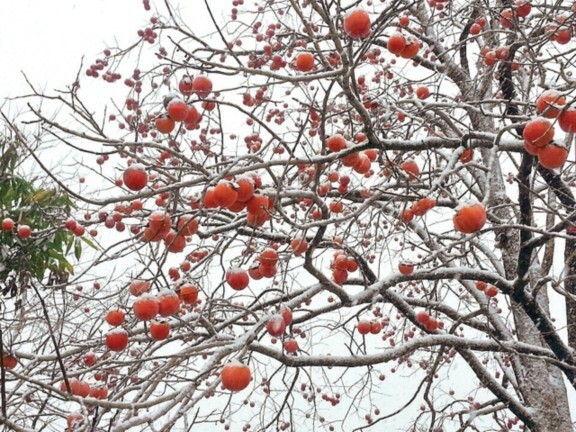 The persimmon tree that consumed energy has to endure the harsh winter with its bare branches. Ending the year, I look back on myself with greed and bad personality. I truly feel shame because I didn’t live as an example as the Lord Jesus who gave up His life to the point of death on the cross. I am determined to live serving others while sharing the Jesus’ life like the sharing of fruit.